Sharada, my colleague had been planning for a beach trek some time now. I felt that a trek along the Arabian Sea coast would be a nice way to start the year. Both of us have done the stretch from Ankola to Gokarna. This time we have decided to do the next stretch from Gokarna to Honnavar. 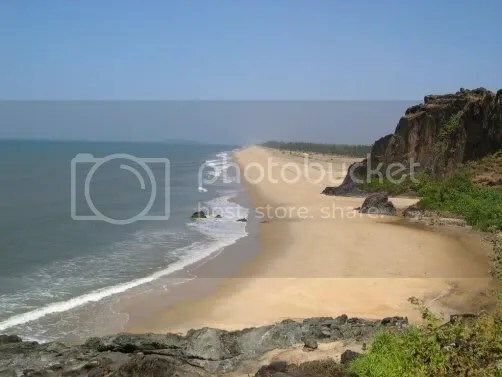 The Gokarna to Honnavar stretch is longer than the Ankola to Gokarna stretch. Both Gokarna and Honnavar belong to Uttara Kannada district of Karnataka. 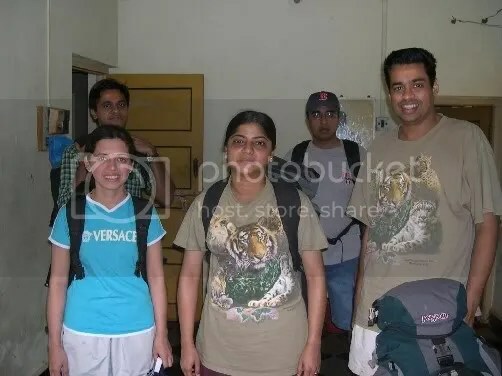 This time we are six of us; I and my wife Veena, Sharada and her husband Saro, Ananth and Venu. While Sharada felt that she might not be in top form for the trek, Ananth had confidently agreed to be part of the trek after a 2 year gap. On a January’s Friday night, we board the 9PM Rajahamsa bus from Bangalore to Gokarna. Winter had entered its final few days and we were hoping that the sun in the beach would be bearable. Gokarna is 472km from Bangalore. The bus travels well over 10hours to reach Gokarna at 8.45AM. 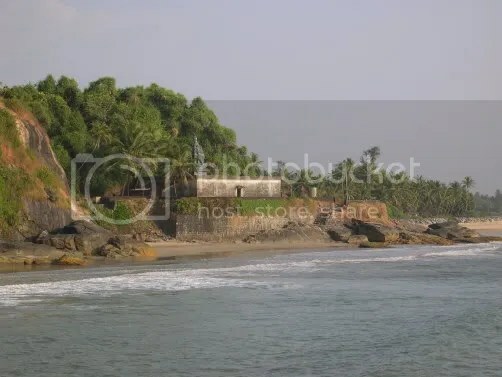 We pass Honnavar along the way, where we hope to reach on Sunday evening by trekking on the beach. As per the milestones, it looks like the distance between Honnavar and Gokarna is on road is at least 40km. We wonder if we would be able to cover such a distance in 2 days. I had thought that the touts (read priests) would approach us only at Gokarna temple. But here they are, in the bus stand, inviting tourists to their lodges! 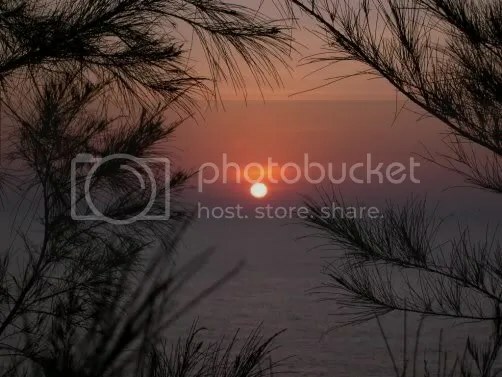 We have already booked a room for our brief stay in Gokarna. Many (mainly priest) families in Gokarna have converted their houses into lodges to accommodate the pilgrims. We check into our room and quickly finish our morning ablutions. A few of us get a quick wash also. By 9.30AM we are out of the lodge with our backpacks. We could hardly resist the temptation of the ultra-size tender coconuts on the way. After breakfast in the Pai Hotel, we proceed towards the Gokarna beach. Meanwhile a tout directs us to the Kudle beach. 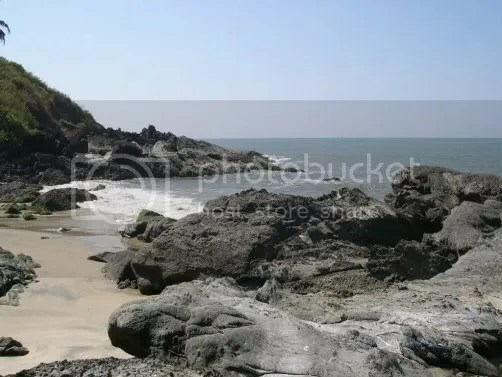 From Gokarna, we wade our way through a hilly terrain to reach the Kudle beach. There are many resorts in and around Kudle beach mainly catering to the foreign tourists. 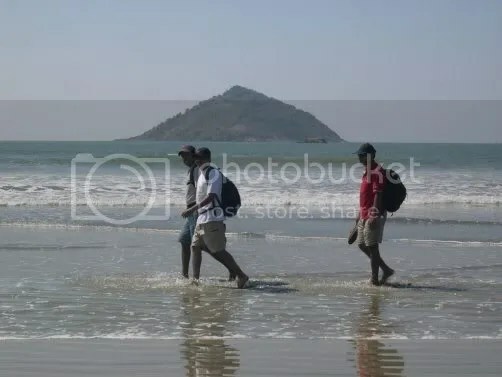 In fact, in this beach and in all beaches of Gokarna, we can see mostly foreigners. Gokarna is a sacred place no doubt, but I didn’t observe anything special spiritually (like Yoga Ashrams) which generally attract foreigners. Of course beaches are an attraction. There is a hearsay that outsiders come to Gokarna mainly due to ease of availability of drugs. In fact, I was inquired by a passerby if we are interested in purchasing ganja from him. We reach Kudle beach at 11AM. It is burning hot and and we start sweating. If feels as if we have expended good part of our energy already and we are still at the beginning. We cool ourselves by gulping down the lemon juice. Kudle beach is limited by hills on either side. While it looks a bit difficult to follow the sea after the Kudle beach, we nevertheless want to attempt it. But a foreigner (who says who has been living here for sometime) discourages us. While he wants us to back off and climb over the hill to reach the next beach, we insist on checking out the rocky beach path. When he starts to get upset, we give up, return back and take the hilly route. While crossing the hill, we see a foreign woman heading somewhere. But on seeing us, she follows us for some distance. After checking where we are heading to, she returns. Already prejudiced, we almost conclude that the foreigner has actually sent us over the hill on purpose. We reach Om beach by 11.30AM. Om beach gets its name from its OM shape. 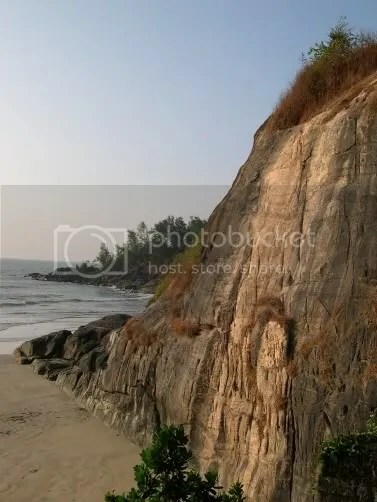 The OM shape of the beach is best visible from the adjoining hills. Again we had to leave the beach and tread over a hill to get past the Om beach. While Venu tried to take the rocky path adjacent to the sea, he eventually had to retreat and join us. The rocks can be dangerous to negotiate without proper gear. Walking on the barren hills can be tough compared to walking on the sea, where there is at least a cooling effect on the feet. At around 12.15PM we walk down a hill and meet the sea again. This is Halfmoon beach. It is a very short beach and we can see a few foreigners here. The next beach we encounter is the Paradise beach. This is also short but beautiful. This is the last beach on our way which is inhabited by foreigners, the vendors and the resorts. After this we shall be on our own, of course we shall have fishermen for company. 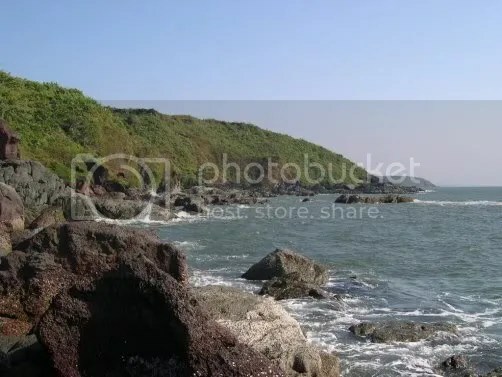 This area around Gokarna is quite hilly and it is not possible to always walk alongside the beach. We have to cross many hills in between. At around 1.30PM we reach a place which has some vegetation and it looks like a cultivated area. When we see a fresh water source and a few villagers having their lunch, we also decide to break in this shady area for lunch. Post lunch we walk for around 15min to reach a village called Belikan. 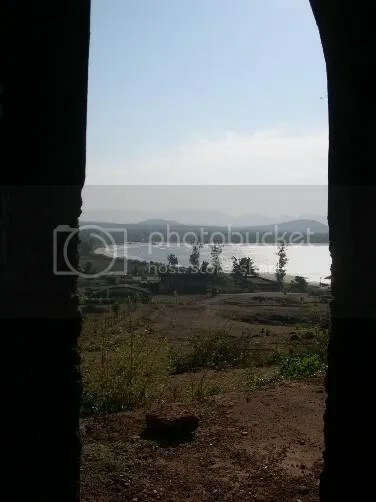 It is around this village where the Aganashini river meets the Arabian sea. When we come to this point, the beach stretch is intercepted by the river and we can see the beach continuing at a distance. Ideally we should have accepted the offer of a fisherman to ferry us to the next beach. Instead, we make the mistake of walking along the river bank. 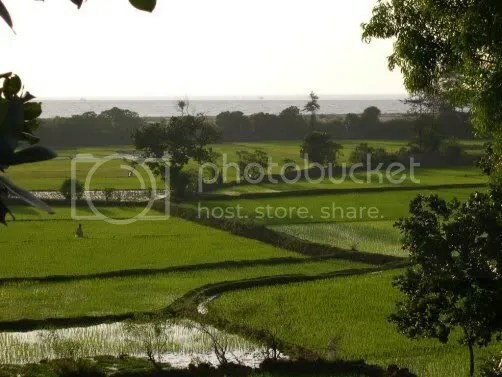 We cover quite a distance to reach the next village which is big and looks like the hub of fishing activity. We had to wait for sometime to get a boat for river crossing. And we are still nowhere near the beach. A villager whom we met on the boat is returning from Gokarna and is headed to the next beach. We decide to follow him. Most of times during our treks, I have seen that villagers don’t quite see and appreciate our effort in treading the difficult and not-so-common routes. So there is always some confusion when we inquire about the directions. While they think in terms of easiest way to reach the destination (which typically would be taking a local bus or boat or human inhabited paths) while we always look for routes amidst hills and forests. There can be miscommunication sometimes and this time it cost us a few more hours in the midday sun. We should have accepted the fisherman’s boat ride offer at Belikan. The kind villager whom we are following happens to own a small resort in a secluded beach called Barka beach. 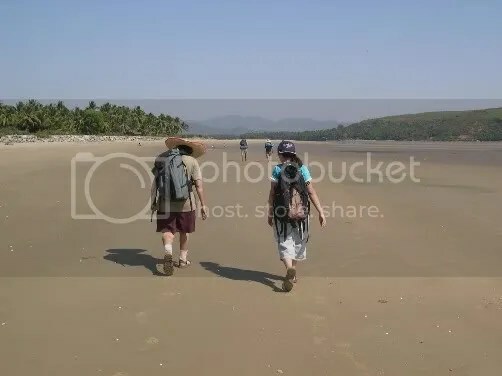 He caters to the foreigners who look beyond the crowded beaches of Gokarna. Most of us are very tired by now and it takes a good effort to negotiate a hill and a large rocky terrain. We hit the beach at 3.30PM. Temperature is in upper 30s and the heat is unbearable. While the villager moves ahead, we decide to take a short break. There is no shade around but we are too tired. After another 45min of walk, mostly on rocks, we finally reach the Barka beach. 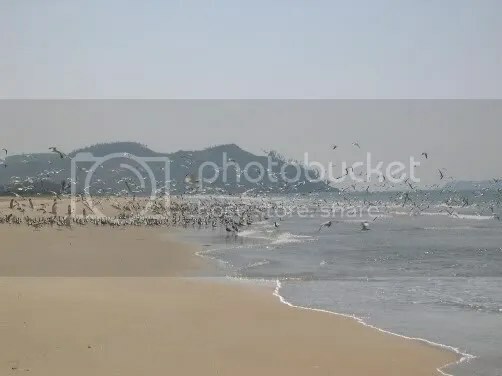 Barka beach is very short, may be just 50m in length. It is sandwiched by hills on either side. There is only one resort here run by our villager. We are dead tired when we reach here and the lime soda from the resort comes as a great respite. After filling our bottles with the naturally available drinking water here, we start climbing the hill on the other side of the Barka beach. It is a very steep initial climb. A resident of the resort accompanies us for some distance to show us the way. Most of the hills we have crossed are kind of tiny ones, but this one looks huge in comparison. We reach the top and continue walking along the grassy path. A fort shows up at a distance. We have to reach the fort and get down the hill to join the sea again. The other side of the hill is visible from the fort. The vastness of the coastline is amazing. There is coastline as far as we could see. We are somewhat relieved that we would not be crossing any hills for next considerable stretch of the beach. On the fort side of the hill, there is no definite trail and we have make our own way down. The soil is loose and the terrain is slippery. And moreover we are not equipped to walk on this terrain; we are wearing beach slippers. After half an hour’s grueling climb downwards with a few minor slips, we rejoin the beach. It is 5.30PM in the evening and we decide to cover as much distance on the beach as possible before sunset. At around 6PM, we approach a place which looks like an ideal camping ground. There are some fishermen’s houses around; we decide to camp here for the night. 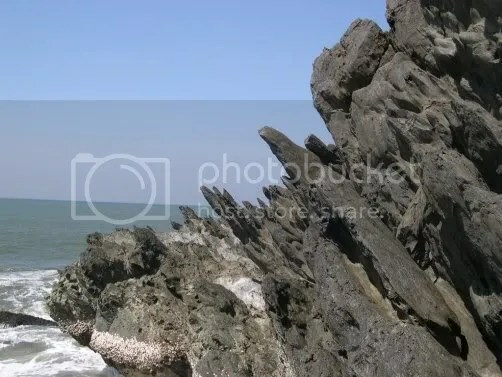 This place is called Sangam beach. After deciding our camping location, some of us relax our tired bodies by jumping into the sea. While we are at it, the sun goes down and we get a clear picture of the sunset. We pitch up the 2 men tent and lay the mats around it and light the candles. When we start our candle light dinner, a villager, attracted by our candles comes across to investigate. After assuring us of our safety in his village, he disappears. While Veena and Sharada enter the tent, rest of us lie down on the mats and wrap ourselves with bedsheets. I sleep soundly till 12 in the night, when I wake up due to numbing feeling in my hands. Now in addition to our bedsheets, Ananth and Saro had thoughtfully pulled over a plastic sheet over us. Next I am woken up only by the alarm ringing at 5AM. Surprisingly there has been no dew through the night. The village is still asleep; we approach a well to replenish our water sources. Fortunately villagers have left a tumbler outside which we use to draw water from the well. At around 6AM, we get going on our 2nd day’s trek. 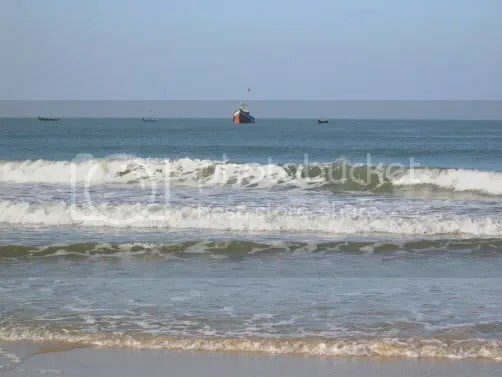 The continuous beach stretch ahead of us is around 7-8km and we cross Gude Angadi, Holanagadde and Kadle beaches on the way. We spot a tiny tortoise, probably making its first attempt towards the sea and a star fish. At around 7.30AM, we have reached the other end of the continuous beach stretch. Next we have to cross a hill. We finish our breakfast on this hill. 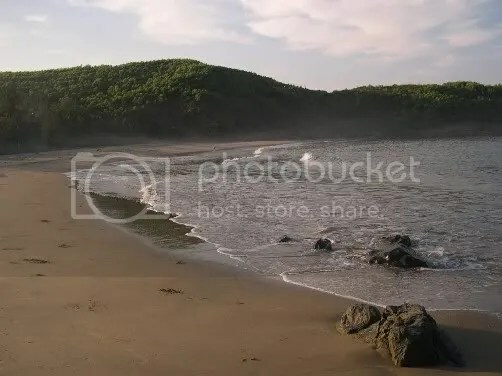 On the other side of the hill is a beautiful semicircular beach which could serve as an ideal camping place. After crossing this beach, we get past another hill and reach Honnali village. This is fairly big Muslim village. It looks like the entire village has lined up on the road adjacent to the beach to have a look at us. We feel like being part of some procession. When we ask for directions from a villager, he clearly mentions that we get a stretch of backwaters ahead of this village where there will be no boat service. His advice for us is to take a bus at Honnali to Kumta and from there enter the village again. But we are not keen on entering Kumta now and decide to take a chance. To cross Honnali on the beach, we have to cross another hill, which is quite rocky. We reach the top of this hill at around 9.30AM. There are two dilapidated structures here which look like abandoned houses or watch towers. 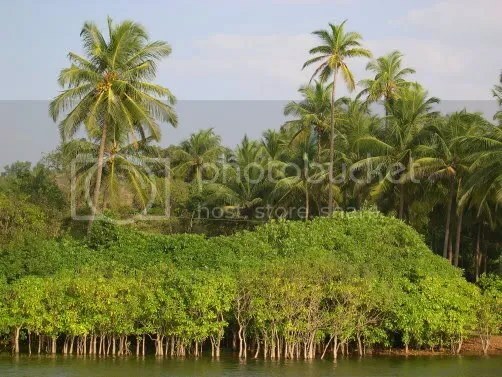 After spending some photographic moments here, we move downhill and join the sea, this time a stretch of backwaters. We meet another villager who advises us to enter the village and from there to Kumta as it is not possible to cross the backwaters. Though we can see some boats lined up on the other side, nobody is ready to ferry us. After our continuous waving, a small boat approaches. This boat is too small even for 2 people, informs the fisherman. For some reason, the fishermen are reluctant to untie their boats and help us cross this tiny stretch of backwaters, even though it means earning some easy money. While we almost decide to enter Kumta without other options, a fisherman from the other side offers to ferry us for Rs 200/- We gladly accept. It is 10.15AM when we reach the other side. 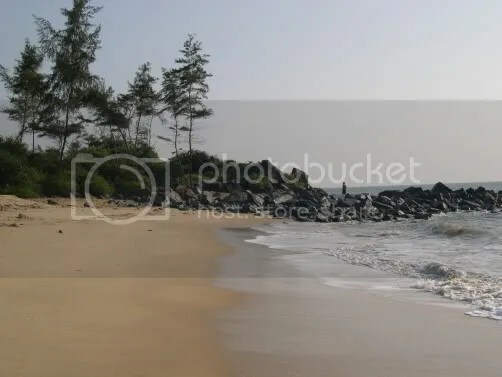 On the other side of the backwaters is a straight stretch of beach of around 4-5km, which ends in the hills of Dhareshwar. After half an hour’s walk we reach a beach which looks ideal for a dip. We spend around 30min relaxing in the sea. On this stretch of the beach we encounter a herd of seagulls numbering thousands. After an hour’s non stop walk, we reach Dhareshwar, by which time we are very tired as the sun is directly on us. 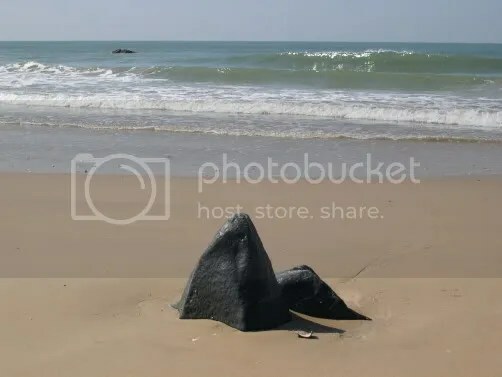 It is believed that the Ravana’s efforts in disengaging the Shiva’s Atmalinga dropped by Lord Ganesha at Gokarna led to some coverings of the Linga to drop off to nearby places. 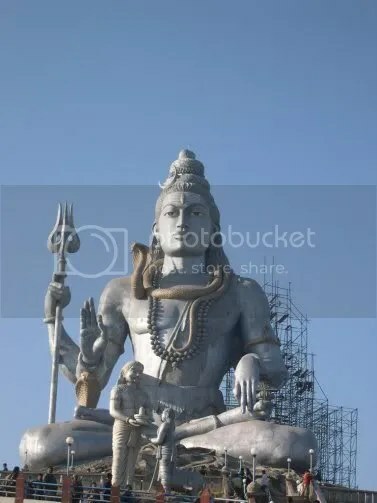 One such place is Dhareshwar, which now has a Shiva temple. We enter Dhareshwar village and replenish our water sources. 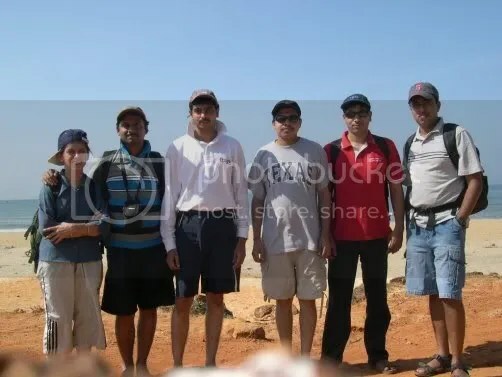 Ananth and Venu decide that it is enough of trekking for them. They would continue rest of the distance till Honnavar on road. We transfer most of our luggage to Ananth and Venu and move ahead on the beach. From Dhareshwar, we cross another village before joining the sea. At around 1.30PM, we reach the Ramanagindi beach, where we enter a house to finish our lunch. The inmates of the house kindly offer us refreshingly cold drinking water. Sharada offers the remaining food to the cows, thus we finish all our food stock for the trek. We are on beach again at 2PM. Next we cross yet another hill. Now we have reached a continuous 5-6km stretch of beach which would terminate in a village called Karki. Near this village there is a small island which is visible from a far off distance. It takes us 1hour 30min to cover this beach stretch. We cross Tarebagilu beach just before reaching Karki. It is around 3.45PM when we reach near the island and from here we have to leave the sea and enter the land to reach the Karki village. We walk at least 2km in the village before touching the main road from where we get transportation to Honnavar. We reach Honnavar at 5PM and join Ananth and Venu in Hotel Sanman.